Mentors are there for experience-based guidance and honest advice. In some areas up to 60% of new Nurses leave their first position and some leave the Nursing profession entirely within two years. A stressful work environment combined with a lack of support from fellow Nurses can make it difficult to transition from Nursing school to the professional ranks of Nursing. 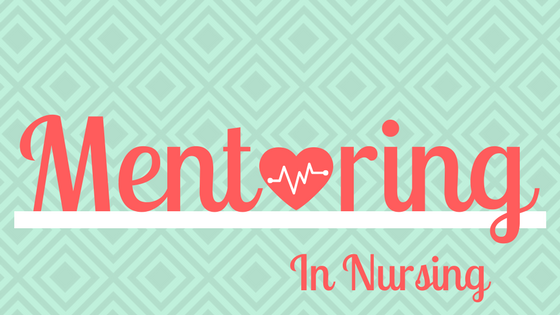 Nurses should use mentors as a resource. Not only when they have a problem but in any stage, whether they are aspiring to take on a new role, grow in their current role, or become a stronger leader. Mentoring a fellow Nurse takes leadership skills and experience, of course, but also much more. According to Dale Beatty, DNP, RN, NEA-BC, Standford Health Care’s Chief Nursing Officer and Vice-President of Patient Care Services, there are basic core values that mentors need to have: honesty, integrity, trust, and confidentiality. A mentee should be able to trust their mentor enough to be vulnerable with them, and the mentor should foster that environment of safety and trust. Mentors have much to gain personally and professionally by helping new Nurses adjust to their role. While Nurse mentors are helping people understand and practice the standards of Nursing, they are also reviewing the processes and procedures and are in a position to facilitate changes or make improvements if needed. Also, inexperienced Nurses will have been exposed to the newest technologies and trending issues and can give a different perspective to the experienced Nurse who might not be as exposed to these current developments. Have you ever thought you could be a better leader or manager than the person who was in charge? You should seriously consider being a mentor. When mentoring others, you are actively working on your coaching, communication, and leadership skills. Working with different individuals from various backgrounds helps you to develop the relatable skills necessary to handle many personality types. Being a mentor first is a great way to find out if management is something you want your future to evolve into. Magnet Program Director Anita Girard, DNP, RN, NEA-BC said, "For student Nurses and recent graduate Nurses, a mentor is a resource that could help guide them to their future careers and shape them along the way, but figuring out where to find one is the first step. A great place to start is to visit websites for state Nursing associations and student Nursing associations. Additionally, getting involved in professional organizations can help, since these are usually full of Nurse leaders that could be potential mentors. Becoming a mentor is a big decision to make. While the personal and professional benefits far outweigh the challenges, mentoring has to be something you are emotionally and professionally ready to handle. Have you ever been a mentor or mentee? We would love to hear your stories! Please share your experiences in the comment section below.